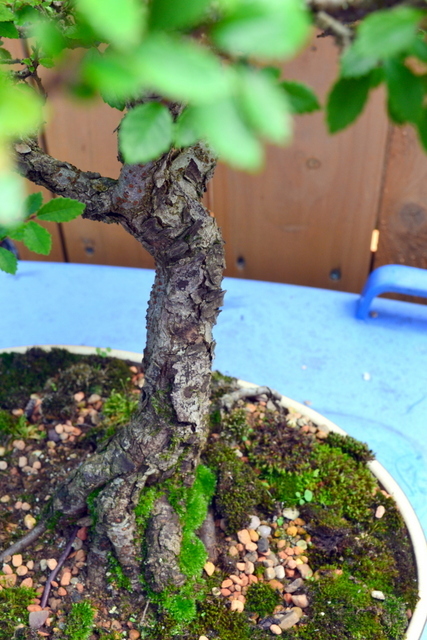 Some summer shots of my Chinese elm bonsai tree. 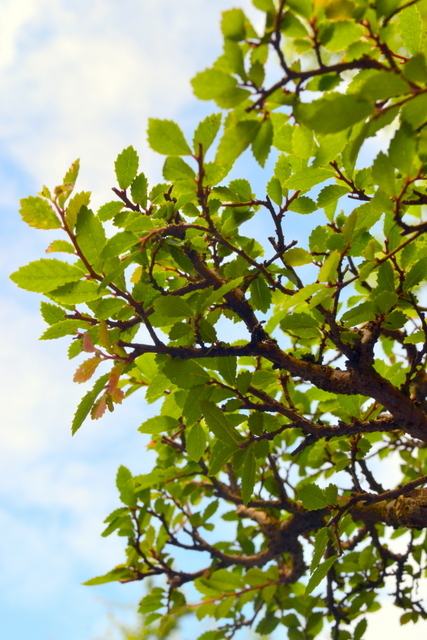 One from above showing the extent of the canopy, a shot from the side focussing on the textured trunk, and my favourite, looking up from below with a clear sky behind. 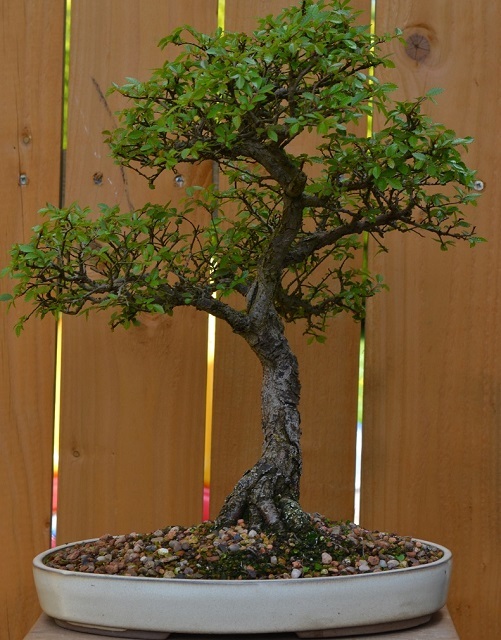 My chuhin sized Chinese Elm that was repotted earlier this year. 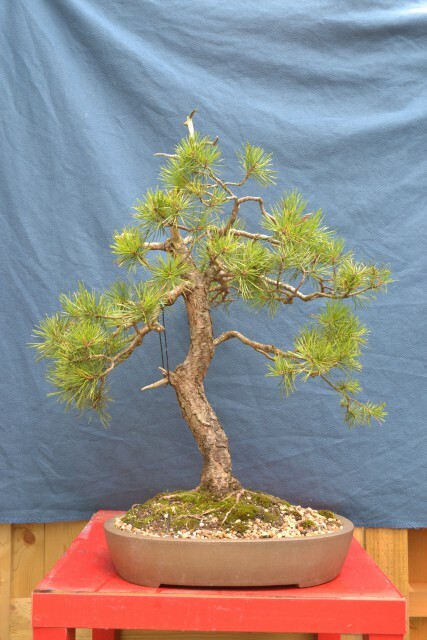 Taking a while to get going but foliage will hopefully fill out over the next few weeks and I can then wire it for the first time in the autumn. 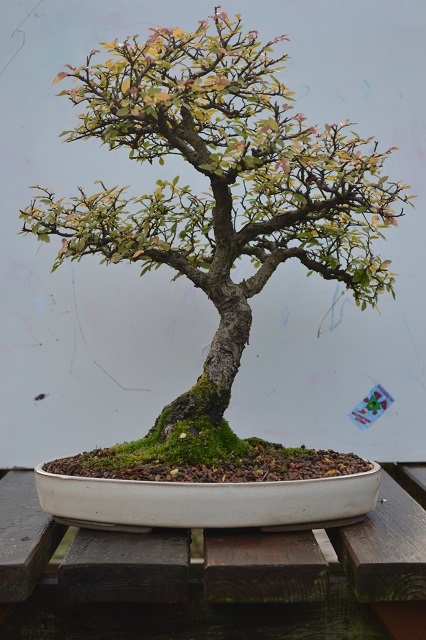 Took a while to moss up today but worth the effort. 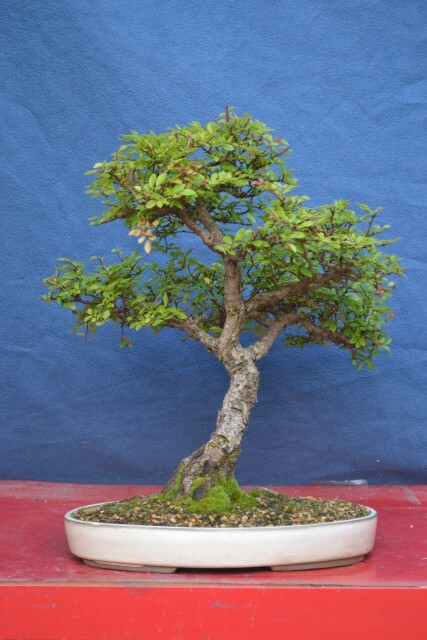 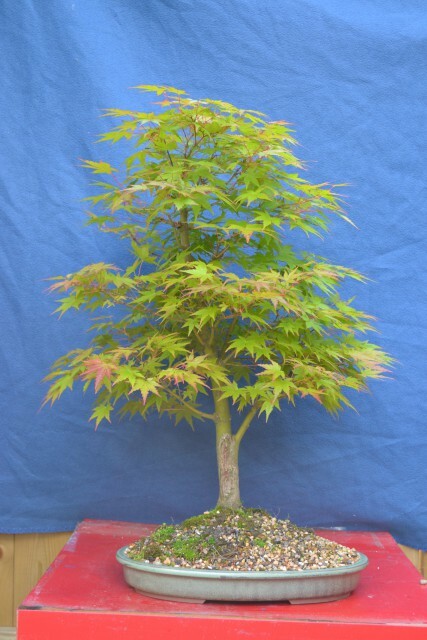 Another tree that I’m hoping to have on show at The Bonsai Experience next weekend. 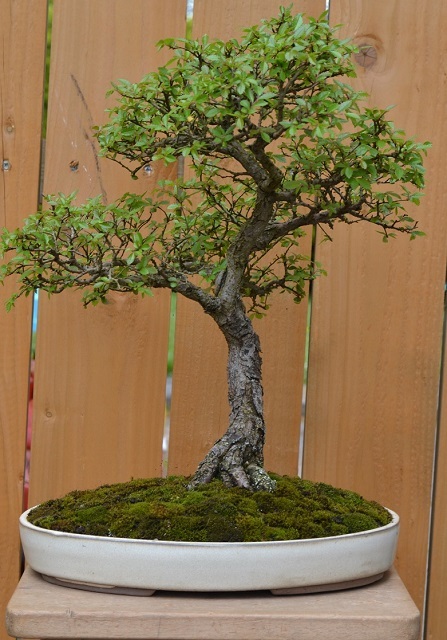 An overdue repot of my Chinese Elm. 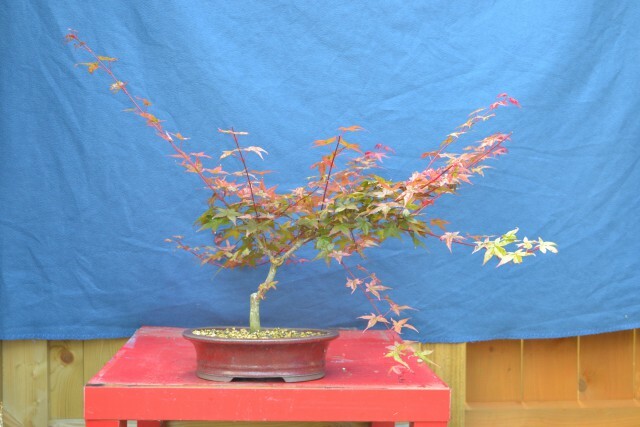 I was never entirely happy with the spoke like appearance of the old front with most branches coming from one spot on the trunk. 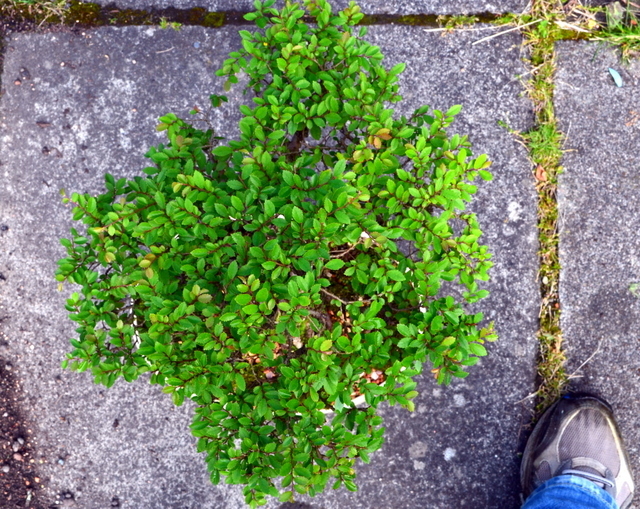 Saw it from a new angle by chance at a club meeting last autumn and I think it’s much better. 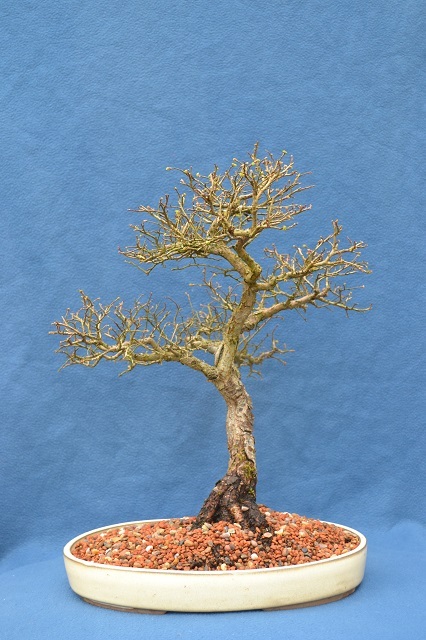 Hopefully a bit of wiring later in the year will make a bigger difference too as some branches need to be manipulated into better positions as well.